Garnet black color. Fruity, savory aromas and flavors of berry compote, roasted pepper, olives, and cedar with a supple, crisp, dry-yet-fruity medium body and a seamless, interesting, medium-long finish that exhibits notes of spiced apple, grilled tomato, and nutskin with well-integrated, chewy tannins and light oak flavor. 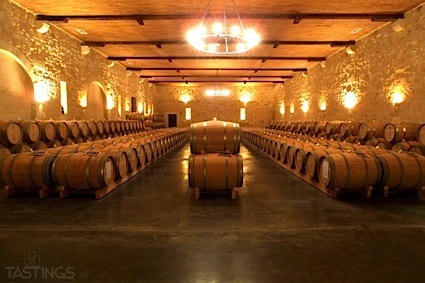 A round, juicy, savory cab that will be quite versatile. Bottom Line: A round, juicy, savory cab that will be quite versatile. 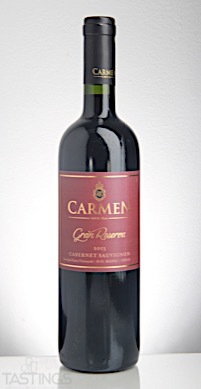 Carmen 2013 Gran Reserva, Cabernet Sauvignon, Maipo Valley rating was calculated by tastings.com to be 90 points out of 100 on 9/22/2017. Please note that MSRP may have changed since the date of our review.